Hello there, My name is Madiha Khan. I live in Islamabad, but I am from Karachi. 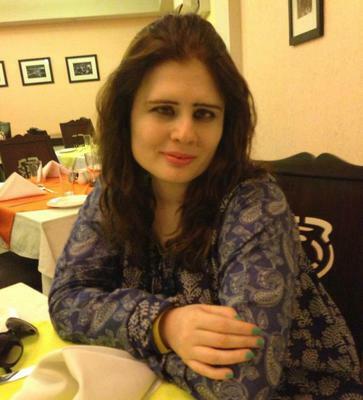 I am currently an Assistant Professor at National College of Arts (NCA) Rawalpindi campus. 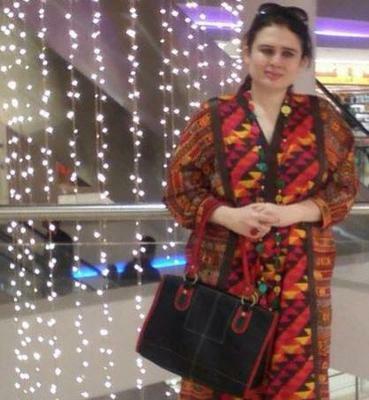 Well, I did my Bachelors in Textile Design from University of Karachi, Visual Studies Department in 2004. And it was right after my thesis that I started to work for Gul Ahmed Textile Mills and continued to do so from 2005 till 2006, for about 2 years as a Product Developer in Research and Product Development Department. My vision is to prepare my students for a rapidly changing world by equipping them with critical thinking skills, global perspective, and respect for core values of honesty, integrity, loyalty and compassion. Developing these skills is the corner stone of the education that we offer at NCA. Students will have success for today and be prepared for tomorrow, always. After all artists have driven the biggest revolutions across time and the globe. My biggest achievement throughout my professional journey are my students. It brings me immense joy to see them benefit from my knowledge and experience and bloom. My biggest achievements are the outcomes of my efforts, like my students working in leading textile industries of Pakistan, day by day I am learning, when I see my designs get printed for masses I feel a great satisfaction, an untold pleasure. In the near future, I am planning to start my own little venture, right here, in Islamabad. I am also working with an NGO for skill development programs and I am associated with quite a few Textile Industries of Faisalabad, soon enough you will be hearing from me again hopefully as an entrepreneur then.